I have been using Precleanse for the last 2 years and it is really good for removing makeup. Before using this product I thought the idea of a \'precleanse\' was just a gimmick. However, from the first time my beautician used it on my face I was convinced. It leaves your skin feeling so clean and it is gentle enough to use on the eye area. I\'m now hooked! Ok, a little too early to give detailed feedback on precleanse, as i\'ve just used it today. But i must admit, my skin did feel extra clean after using this, followed by special cleansing gel. I\'ve used other cleansers twice over and never felt this comfortable cleanliness on my skin, so it bodes well. What i really wanted to give feedback on were two things. Firstly, the incredible next morning delivery, even though i\'d ordered after 2pm the previous day. The detailed email updates on the orders progression were great. But best of all, the nice suprise when opening my parcel, to find the precleanse was boxed with free 50ml sizes of special cleansing gel and multi active toner. So you get the cheapest prices on the web (although you can get lucky on Ebay now & then), great customer service, next day delivery, free travel size gifts and 10 samples of your choice. Amazing. I was shown this product at the Dermalogica counter in Selfridges and when I was told about it I kind of rolled my eyes at the thought of it, but I was given a few sample sachets anyway. I used the samples and I am totally converted!! It isnt the kind of product I will use everyday, just when I have worn full make up (foundation etc) and it literally melts off your make up, so when you have finishing cleaning your face it feels so nice and clean Like I said, not an everyday product but I definitely recommend it! This product is excellent. I have only used it once but already my pores look and feel much clearer. It felt lovely on my skin and was really simple to use. Although it feels instinctively wrong to put oil onto your face, especially oily skin like mine, it really works a treat. I would highly recommend it. As always my delivery arrived quickly and well packaged. Brilliant service, thank you. The Precleanse is absolutely fantastic. I was addicted to face wipes for years as I could never find any other way of removing all make up, including mascara, to my satisfaction. But with Precleanse all of your make up is removed very quickly and easily. I was worried it might sting your eyes when you rubbed them to remove mascara but this is not the case at all. No stinging or discomfort of any kind. I will never go back to face wipes, ever! Over the years I have struggled with blemished skin which at times could not be hidden with make-up on, so I decided to research and search the internet for a product that would not only go skin deep but also works on the top of the surface.I have tried to many other products which only made my problem worse, that's how I found out about Dermalogica and boy am I glad that I did, I purchased the Pre-cleanse &amp; the Dermalogica Dermal Clay Cleanser which works wonders together, there's no gimmick but I can see how my skin looks so much healthier without the redness and the clarity of my skin which is now beginning to shine through. Thank you Also thanks for the sample's which has helped we work out which is best for my skin. WOW, I love this product. It has a delicious smell and it lovely to use. 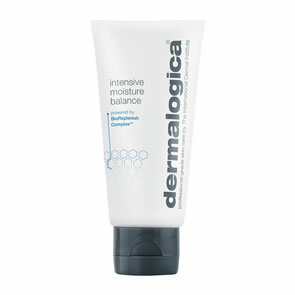 It has made my sometimes dry skin feel soft and supple after the first couple of uses. I combine this with the Dermalogica Essential Cleansing Solution I normally use, and have really noticed a difference in the way my skin looks. I suffer with a congested T zone and even this does not seem as congested. Love this product - would definately recommend to anyone. 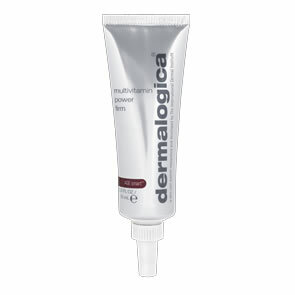 I have flirted with the idea of trying Dermalogica for years but always thought it might be over-priced, wouldn't work etc Anyway, fate intervened and after a recent bout of dodgy skin having come off the pill, I thought I'd go for it so invested in the Precleanse and Daily Micofoliant to start off with. I had seen the reviews on both which encouraged me to try them but I was still sceptical given how temperamental my skin can be. I definitely thought Precleanse wouldn't live up to its reputation! Anyway, you can guess what's coming. The first time I tried it, I was staggered at how much make-up it removed from my face. The product does exactly what it says on the bottle - foundation, waterproof mascara, everything just melted before my eyes and landed straight in the sink once I'd got to the rinse stage. Better still, my skin really did feel clean and I hadn't even moved on to stage 2! Suffice to say I am impressed and so pleased I invested in it. The texture and clarity of my skin has really started to improve using both this and Daily Microfoliant. Thank you, Dermalogica and Pure Beauty!